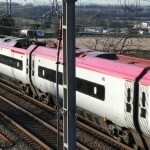 THE Department for Transport (DfT) has stated that the West Coast Main Line (WCML) is now twice as busy as when it was last upgraded. That upgrade caused 10 years of disruption for commuters from Northampton to London. 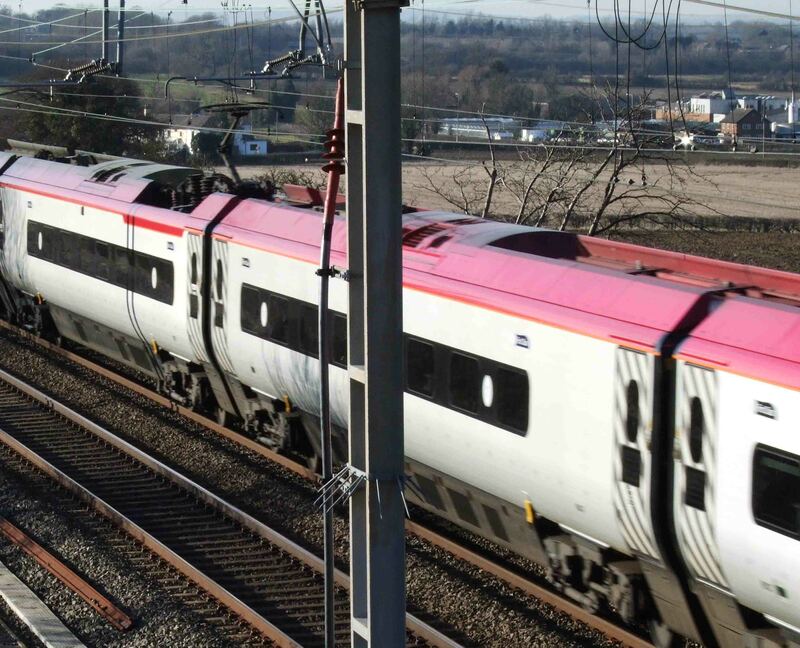 Some people who object to High Speed 2, the proposed new high speed rail link to Birmingham and Manchester, want another upgrade to WCML instead – the so-called Rail Package 2 (RP2). RP2 provides far less new capacity than HS2. It also increases capacity at off-peak times when it’s not needed. RP2, incorporates the cost of upgrading the existing line to allow more trains with extra carriages. The DfT has stated that RP2 is not a viable alternative to a new high-speed rail network. It would also cost almost £9 billion. Jill Hope says that RP2 could not possibly be seen as value for money, and a that another 10 years of WCML disruption is just not acceptable. HS2 is the only chance of Northampton trains getting a proper opportunity to access the fast tracks, and is essential for the prosperity of the town. That probably holds true for the other main commuter towns down the line such as Milton Keynes, Bletchley and Leighton Buzzard. I use the WCML from Milton Keynes. We need improvements NOW – not in 20 years time when HS2 might start running. If you study RP2 you will see the required extra capacity can be gained without massive disruption and in cheaper and greener ways than by spending £34 billion on a new ultra high speed railway line. I’m afraid Ms Hope’s comments are sadly inaccurate, and it looks as if she hasn’t read the documentation released over the last 12 months. RP2 meets any conceivable growth requirement for decades to come, and it’s doubtful if it’s all needed anyway. The high costs of UK rail (50% public subsidy) is due to under utilisation of the track. Very few trains suffer from overcrowding. On the 2-track section of the WCML branch between Coventry and Birmingham International, there are only 8 trains an hour peak with an average of less than 7 carriages. There seems to be little justification for the 4-tracking proposed in RP2 – retiming local services and (of course) extra carriages would give massive extra capacity. Note – we are looking ahead at least 15 years, so it’s entirely reasonable to expect better signalling to allow 3 minute headway (as proposed for HS2). The line would take 3 8-car local trains and 8 12-car Pendolinos. Higher performance local stock would squeeze in an extra service! Surely that’s enough! And NO disruption of course. Unfortunately, HS2 (and parts of RP2) are driven by the construction and rail-bureaucracy lobbies, who want the taxpayer to fund ever more glorious schemes. They’re not needed, and we have far better things on which to spend the money. Why are you talikng about 10 years- RP2 will deliver before that- HS2 is proably 20 years hence. No contest!! Jill, you’ve been hoodwinked by the DfT. Some have cleverly said RP2 only provides 54% extra capacity but that figure includes Chiltern line. In fact – by DfT figures – RP2 gives 151% extra capacity, more than we need, and leaving trains LESS crowded than on HS2. In fact we can double capacity on the WCML and couple Northampton capacity with only one infrastructure development – Ledbury junction. This could be done at under £2bn. By comparison, HS2 will cause massive disruption – 8 years totally rebuilding Euston for a start! More info at http://www.hs2aa.org . I fear that Ms. Hope does not understand the RP2 proposal and being charitable has not read the detail of it. Had she done so she would appreciate that it allows for incremental growth in line with passenger growth which is the problem with HS2. Should the growth figures given by HS2 be felacious along the lines of HS1 then we are stuffed. HS2 have not demonstrated that their figures stand up to fine examination, they have fudged the numbers using an outdated modelling system and extended their time range by an extra 10 years whilst at the same time downgrading their forecasts. The previous disruptions on WCML were as a result of new track being laid and this is not the case with RP2 it merely eliminates pinch points and signalling reconfiguration. Having been charitable to Ms Hope earlier I would now suggest that she removes her coalition hat and decides not to follow the herd and in fact really studies the proposal without the perceived wisdom of the DfT. This Country is in a mess it has huge debts, is involved in armed conflicts on an unprecedented scale despite having a flawed defence review that leaves the Nation underfunded on a military front which is the first responsibility of Government. To even consider moving huge numbers of people between the large cities of this country when we could better utilise the improved infrastructure and install a high speed broadband network to cut down on non-essential travel, would seem to fly in the face of the promise to make this Government “the greenest government”. Please Ms Hope take time out from towing the party line and study the proposals properly. Don’t worry that if you don’t follow the party line your career will be dashed, read,learn and be honest. that is what you were elected to do. Why have the costings been recalculated for an upgrade to WCML and not for HS2? How is the taxpayer able to judge when we are constantly bombarded with figures which are seemingly “plucked out of the air”? We are reliant on our MPs to be able to see through this propoganda and put sufficient effort into finding the truth. I would suggest that Ms Hope spend a little more time into looking at the figures supplied by those anti HS2 and then forming an opinion. At least those figures are honest and compiled by free thinking individuals who genuinely have concerns about taxpayers money and environment. If you want disruption, Euston is the place to be. Can you please just indicate (a) why you claim that RP2 cannot possibly be value for money, and (b) why you think that HS2 will mean increased prosperity for Norhampton? How does this cover the cost of over £1,000 for each household in the country, or around £51 million for each and every parliamentary constituency in the country? The House of Commons Transport Committee came up with the same conclusion – and I am sure they were not “hoodwinked”. Parts of RP2 are happening whilst we await HS2 – eg longer trains, but HS2 from 2026 is the only real solution. At the end of the day, we now need a new line. Making it a fast one does not actually cost much more but gets it paid for faster by winning new markets from air and road (eg Eurostar from Brum to Paris, Germany & Holland). We tried upgrading the old one. It cost £9billion, caused massive disruption and was a victim of its own success. If only we could get some of the HS2 phases opened earlier than 2026 though!